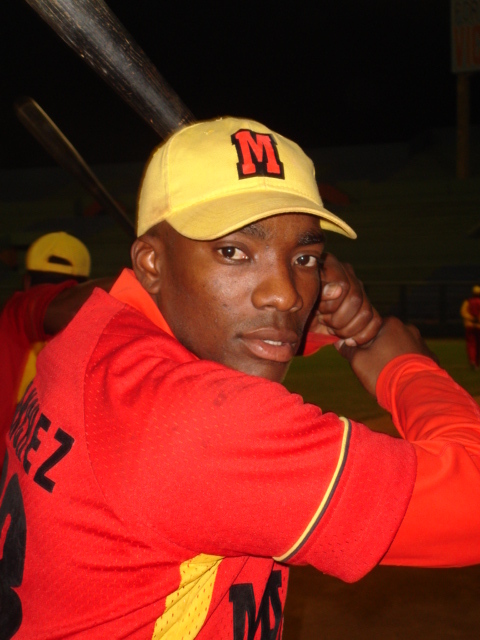 Matanzas lived to play another day on Tuesday and Las Tunas took full command of their one-sided series with Ciego de Avila via a hard-fought victory that pushed the Leñadores into a commanding 3-1 matchup advantage. As a result, we now stand on the verge of ending all three remaining quarterfinal series during the full slate of Thursday evening games. Tied at three wins apiece the Gallos and Crocodiles square off in a dramatic seventh and final game in Victoria de Girón, while both the Villa Clara Orangemen and Las Tunas Woodsmen also hope to wrap things up over in the Oriental League. So far the Sancti Spíritus clash with Matanzas is the only quarterfinal series where the result has dramatically hung in the balance for the full duration of seven scheduled matches. Player of the Day: With two triples, a homer, and six RBIs Ariel Sanchez lifted Matanzas into a deciding seventh game. The Cinderella Matanzas squad looked like they were dead only two days ago when they trailed three games to one and needed a road victory just to get back home for a Game Six series extender. But suddenly the bats of Victor Mesa’s team have come alive and the Crocodiles are now in excellent position to survive a deciding showdown clash on their home field. One remaining hurdle, of course, is Gallos ace Ismel Jiménez, already winner of two games in the current series. Jiménez is not only manager Rupert Zamora’s final “ace in the hole” but also stands on the verge of history, needing only one more win to reach 20 on the campaign (17 during regular season play). Only José Ibar back in 1999 has crossed the plateau of 20 victories in a single National Series season. Yesterday’s 14-hit attack for the Crocodiles during an 8-2 romp was spearheaded by left fielder Ariel Sánchez whose perfect four-for-four day included two triples, a homer, six RBIs, and 11 total bases. Guillermo Heredia (also a double and a triple), José Miguel Fernández and veteran Yoandy Garlobo also enjoyed multiple-hit games for Mesa’s suddenly explosive lineup. Gallos starter Noelvis Hernández never got out of the first inning and his quick departure forced Zamora to turn to number three starter Angel Peña and three additional hurlers for largely ineffective relief work. The Gallos’ hopes now all come down to the possibilities of yet another sterling effort from Jímenez who allowed the Crocodiles only 13 hits and 2 earned runs during 16 total innings in his previous Game 1 and Game 4 starts. Las Tunas got around a solid complete game effort by Ciego’s Yander Guevara who shut down the visitors for eight of nine innings and allowed only three hits overall and three unearned runs during a single disastrous fourth frame. Las Tunas parlayed a single by Jorge Jhonson and two walks in that odd inning into the deciding three unearned tallies when a disastrous wild heave to first by third baseman Raul González (after a grounder by Yosvani Alarcón) cleared the bases. Solo homers by Isaac Martínez (in the fourth, off starter Yoelkis Cruz) and Rusney Castillo (in the sixth, also off Cruz) provided the only scoring for the Tigers. Las Tunas ace Cruz worked six frames to pick up his fifteenth win on the season against only six defeats. The one remaining series finds Villa Clara now needing a single victory on home turf in Augusto César Sandino Stadium. Orange manager Ramón Moré will most likely rely on top southpaw Robelio Carrillo to close out the series in Game Six with Granma’s Ciro Silvino Licea the likely opponent. With three long balls in the series Granma’s Alfredo Despaigne has upped his record-breaking season’s total to 39 (with a new mark of 36 during regular season action). But without better pitching and defense from his inconsistent teammates, Despaigne may well be facing his final game of the year tonight in Villa Clara.